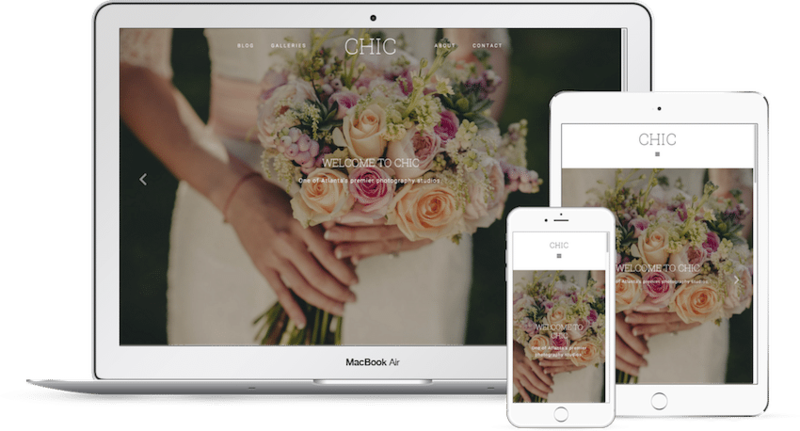 Chic is an exquisite theme with wedding photographers in mind. It boasts a modern homepage with clear typography, a large background slideshow, and a pixel perfect layout to showcase your work and services. Chic is ready for desktop and mobile. Complete with multiple blog, page and post templates as well as an Imagely exclusive portfolio template.